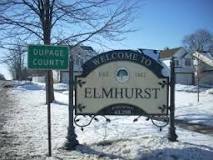 The City of Elmhurst will hold an open house to present the Draft Elmhurst Downtown Plan, the city’s 10-year blueprint for land usage and development in the downtown area, 6-9 p.m. on Thursday, Jan. 7, 2016, at City Hall, 209 N. York Street. During the event, Elmhurst officials will introduce the plan to the public and listen to any recommendations from residents. The Downtown Plan is essentially a long-term vision outline to address issues such as land use, parking, and traffic and pedestrian circulation. The unveiling of the plan has been widely anticipated in Elmhurst, which has actively involved in the development process. For over a year, local residents and other stakeholders provided feedback at public meetings and through online surveys. That participation will continue, as the plan’s consultant team will solicit additional comments and other input on the plan from property owners, business owners and developers during at the open house. Stakeholders can track the progress of the Elmhurst Downtown Plan and provide feedback online by visiting www.hlplanning.com/portals/elmhurstdowntown/documents.